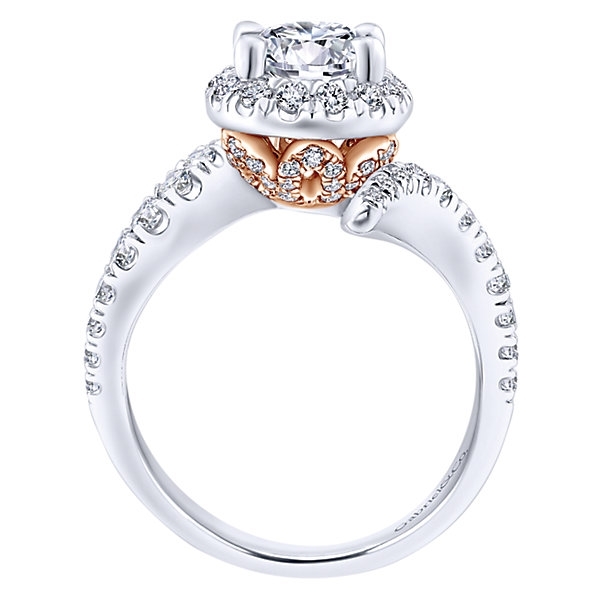 This divine dandy in white and rose gold features a beautiful white gold split shank covered in round brilliant diamonds, all leading up to a round brilliant diamond halo, intended for a 1 carat center diamond. 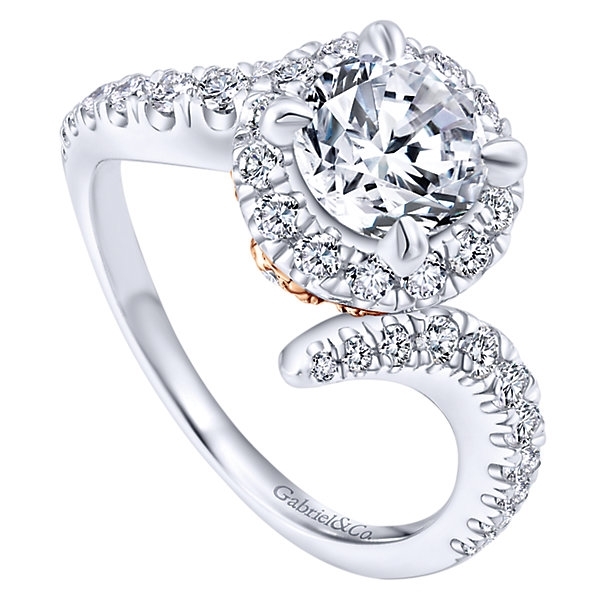 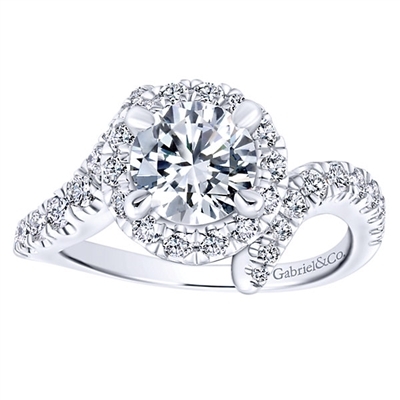 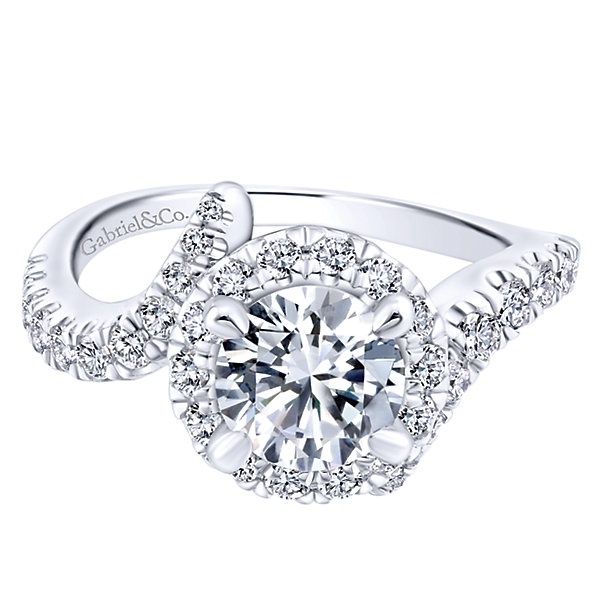 *For center stone other than 1 carat, please call/email or chat with us. 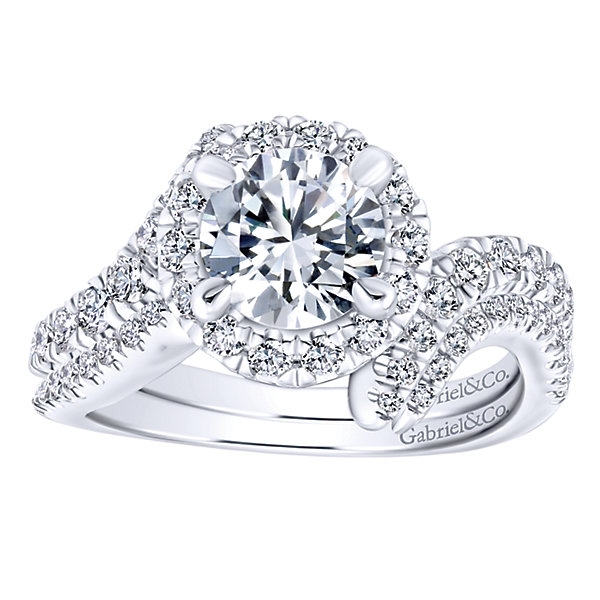 This bold and unique white gold diamond engagement ring featurss twin shanks that twist around a round diamond halo, for a one carat center diamond only, For more center stone sizes, please contact us.